Our third Irish Heritage Town to focus on is the most easterly town in Co. Cork. Youghal is a seaside town, less than 2 hours drive from Lisheen Castle with great historic interest, blending a modern town centre with obvious medieval influence. It also has the added attraction of beautiful beaches and waterside amenities. 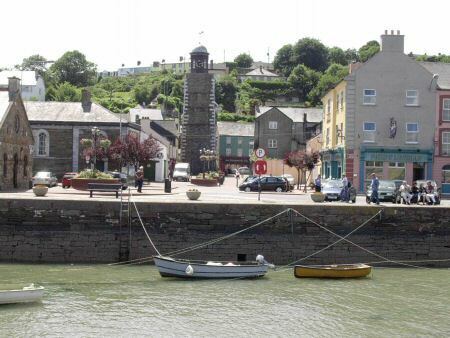 There is much to explore in Youghal and a good place to begin is at the Youghal Tourist Office & Heritage Centre, where you can take a guided walking tour of Youghal town and learn about it’s unique heritage. This summer the combined enthusiasm of local organisers/ athletes and Cork County Council have come together to bring the inaugural full-distance IRONMAN Ireland competition to Youghal. The event takes place on 23rd June 2019 and Youghal will be the IRONMAN centre stage for the next three years. This is a great opportunity for the historic town to showcase it’s wonderful amenities and hospitality to thousands of athletes and their supporters from over 62 countries around the world. The event consists of a 3.8km (2.4-mile) swim, 180km (112-mile) cycle followed by a full marathon; 42km (26.2-mile). If you were hoping to enter you can use the excuse that you are too late as the event is already sold out! But you can always go along to witness the event and soak up the atmosphere. 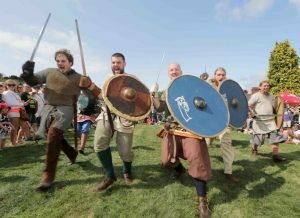 For other upcoming events such as the Youghal Medieval Festival and Concerts from national and international artists check out the youghal.ie website. Want to enquire about a stay at Lisheen Castle? 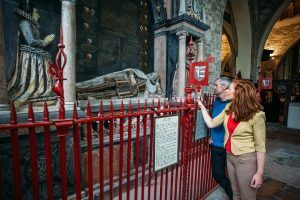 Visit a Heritage Town – Cashel, Co. Tipperary. Visit a Heritage Town – Adare Co. Limerick.